For Todd Minikus, every oxer and every standard mark the fine line between good and great. 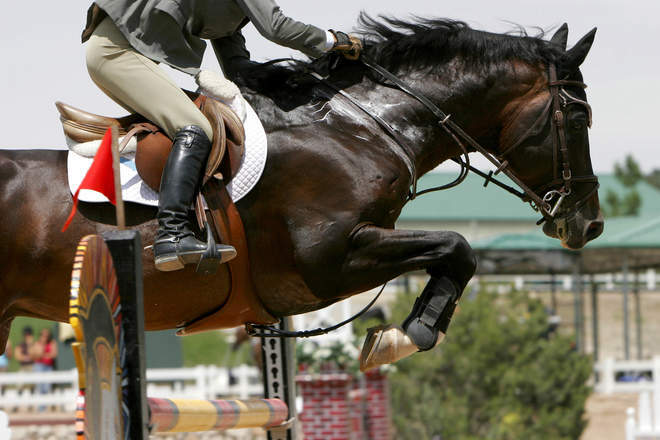 The champion show jumper has repeatedly crossed that line throughout his incredible year of accomplishments in 2014. Todd is thrilled to be a member of the Vita Flex Victory Team that provides top-quality supplements to his talented horses. Todd shared that Vita Flex® supplements are an important part of the program that keeps Quality Girl in winning condition. Todd has big plans for the show ring in 2015. His sights are set on the $125,000 Trump Invitational in Palm Beach, Florida, at the start of the year, followed by 12 weeks of showing at the Winter Equestrian Festival in Wellington, Florida, and the World Cup in Las Vegas in the spring, and then hopefully a spot on the U.S. team competing in the Pan American Games in Toronto in July. Todd, along with Quality Girl and his other star mounts, will also be aiming to continue his winning streak in some of America’s most prestigious Grand Prix competitions. “We did quite well in those million-dollar grand prix that the HITS organization put on this year, and I’d like to continue with that!” Todd said with a confident smile. “The World Cup Final in Las Vegas in April 2015 is for sure one of my main goals,” Todd plans. With his current standings, this goal looks to be very achievable. As of December 2014, Todd is the leading FEI World Cup Qualifier. Todd is a proud member of the Vita Flex Victory Team, and he has seen the supplements at work throughout his successful year. “The proof’s in the pudding — we’ve got some of the top winning horses in the country,” Todd said with a broad smile. One thing is for sure — wherever the new year takes Todd and his horses, Vita Flex will be a part of his winning formula!